In 1967, Britain was in the midst of a psychedelic musical revolution: The Beatles released an undeniable classic in ‘Sgt Pepper’, Steve Winwood’s Traffic released the rather more cult ‘Mr Fantasy’, while The Jimi Hendrix Experience and Cream fused a psychedelic spirit with blues influences on their respective albums, ‘Axis: Bold as Love’ and ‘Disreali Gears’. By 1968, the psychedelic vibe had started to fade slightly, although it was the year in which The Zombies released ‘Odessey and Oracle’, which despite poor sales at the time, is possibly the greatest piece of British psych-pop. 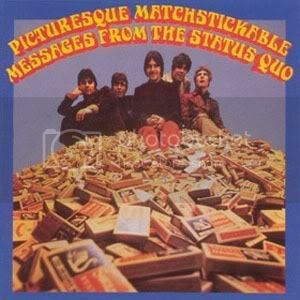 In that same year, Status Quo released their debut, ‘Picturesque Matchstickable Messages’. ‘Pictures of Matchstick Men’ may feel like a well worn classic now and familiar to everyone, but what of the rest of that debut album? The opening track ‘Veils of Melancholy’ sounds rather like ‘Pictures of Matchstick Men’ with the notes played in wrong order, which probably says a lot about why it bombed when released as a single. But, while ‘Matchstick Men’ feels like a piece of late-sixties happiness, ‘Veils’ has an effect that’s slightly sinister. ‘When My Mind Is Not Live’ typifies the psych-pop movement, feeling like a Traffic and Tomorrow hybrid. ‘Gentleman Joe’s Sidewalk Cafe’ is rather more whimsical. Written by songwriter-for-hire Kenny Young (erroneously credited on occasion to Bob Young, who’d later be a regular Quo collaborator), this Kinks-esque number was originally scheduled to be the single. Although a decent album track, I’m not so sure about its single potential – they made the right choice releasing it on the flip-side of ‘Matchstick Men’. ‘Paradise Flat’, takes the psych elements slightly farther, complete with deep voice-over on the mid section. It’s hard to tell whether the voice over always sounded bad, or whether time has been unkind. It’s interesting to note that Francis Rossi doesn’t play such a pivotal role on a lot of these songs, as he would in later years. Although the heavily phased guitars are important to the end product, it’s the electric organ which seems to dominate the early Quo’s multi-layered sound (courtesy of Roy Lynes, who remained with the band until 1970). Surprising as it may seem, the well-loved title cut isn’t the best track, nor is it the most psychedelic. 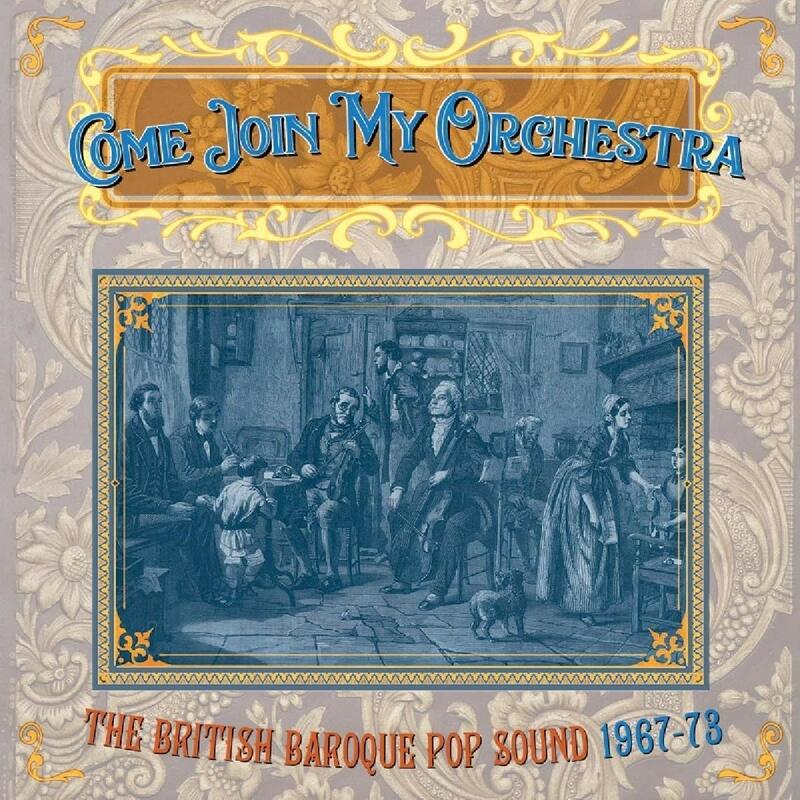 That honour falls to Alan Lancaster’s ‘Sunny Cellophane Skies’. Rossi’s heavily treated guitar is the track’s driving force, coupled by multi-layered vocals, which evoke the period. 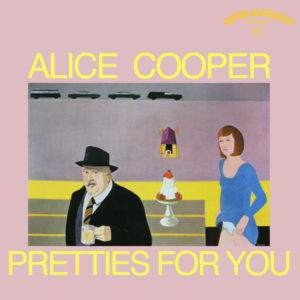 The album is padded out with cover material, all of which is more in keeping with 60s beat pop than psychedelia. In the 21st Century, that makes for okay listening for anyone with a liking for stuff of that retro style, but I suspect that in 1968, some of it felt a little ordinary. ‘Ice In The Sun’ and ‘Elizabeth Dreams’ (both written by Marty Wilde) are probably the best of the bunch with regard to the said cover material, while the Quo’s treatment of The Lemon Pipers’‘Green Tambourine’ isn’t too bad either. The cover of the Bee Gees’ ‘Spicks and Specks’ is horribly misjudged – while Gibb, Gibb and Gibb would prove themselves to be at the forefront of the songwriting masterclass, this isn’t one of their better late 60s tunes as it is, and it definitely doesn’t suit Status Quo. 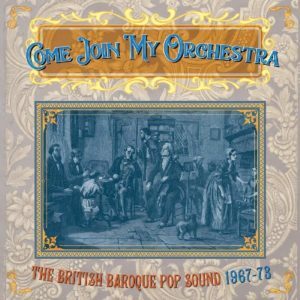 ‘Picturesque Matchstickable Messages’ contains some enjoyable music during its 34 minutes, even if it isn’t quite as inventive as some other albums of the period. The following year’s ‘Spare Parts’ followed a similar musical path, but had little commercial success. By the end of the decade, the psychedelic times were over. If Status Quo had thrown in the towel, they’d likely be remembered as one of Britain’s greatest cult bands. [In 2009, ‘Picturesque’ was re-issued as a 2CD Deluxe Edition, featuring both mono and stereo mixes of the album as well as non-album singles and BBC Sessions. Also included are rare recordings by the pre-Quo band, in both their Spectres and Traffic Jam guises].